Inspection on the dispensing process. Inspection on the division of the warehouse the release area, guarantee area and the reject area with the true identification labels. Follow up the check list of the RH, Temp. at the different places at the warehouse. Inspection on the destruction process for the rejected finished products, raw materials and packaging materials. Inspection on the raw and packaging materials and ensure its comply with the acceptance criteria. Inspection on the gowning according to the SOP. Inspection on the preparation process including check the weight of the raw materials, changing the filters, the CIP process and the SIP process. Inspection on the autoclave activities with different sterilization programs. Inspection on the filling process at the filling room and ensure that the area is clean from any previous product and that the machine is cleaned and sterilized for the new product. Check the environmental monitoring for the sterile area. Check the RH, the temp. And the Δp of all the sterile area according to its classification. Check the weight, the shape and the sealing of the filled bottles. Inspection on every process according to the batch record and ensure that the line clearance process are completed between every product. Taking the samples to the Q.C department as the bulk sample: for ph. and assay, bio burden for microbiology. Taking the samples to the Q.C department as S.F.P. sample: for finished analysis and sterility analysis. Review the recording of all the production steps at the batch process and the batch packaging. Release the batch to the guarantee area after the final reconciliation by the yellow label, then by the green label after the certificate of the chemical and microbiological analysis. Include recording all the deviation which occurs at all the production process and writing the corrective and preventive action. Recording any complain from any customer from any product and investigate about the reason of the problem and solving it. Making internal audit on all the departments of the factory and recording the points which deviate from the right process and informing each department by its point to follow up this points and solving it then inform the QA by the corrective action which they did. 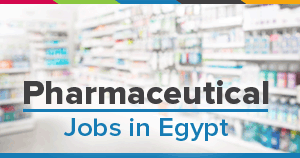 0-2 years experience in pharmaceutical operations. Knowledge of documentation reviews and requirements analysis. Ability to troubleshooting and resolving complex issues effectively.